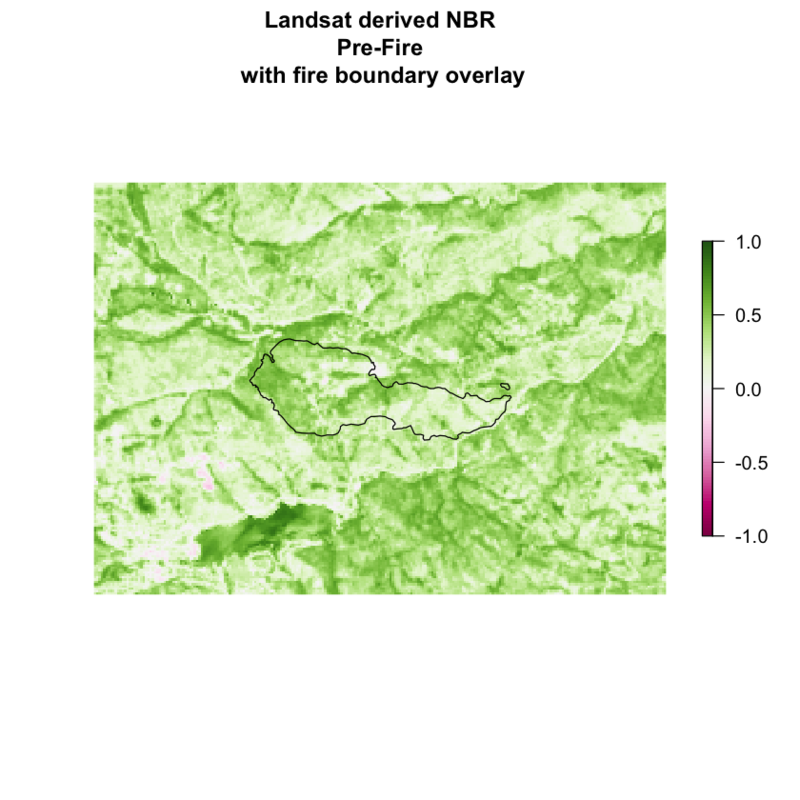 Calculate dNBR in R with Landsat data. You will need a computer with internet access to complete this lesson and the data for week 7 - 9 of the course. As discussed in the previous lesson, you can use dNBR to map the extent and severity of a fire. 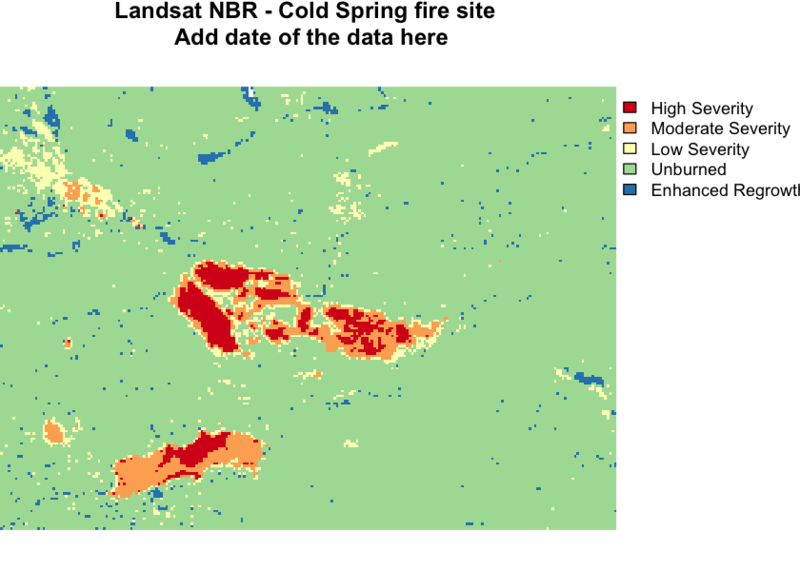 In this lesson, you learn how to create NBR using Landsat data. 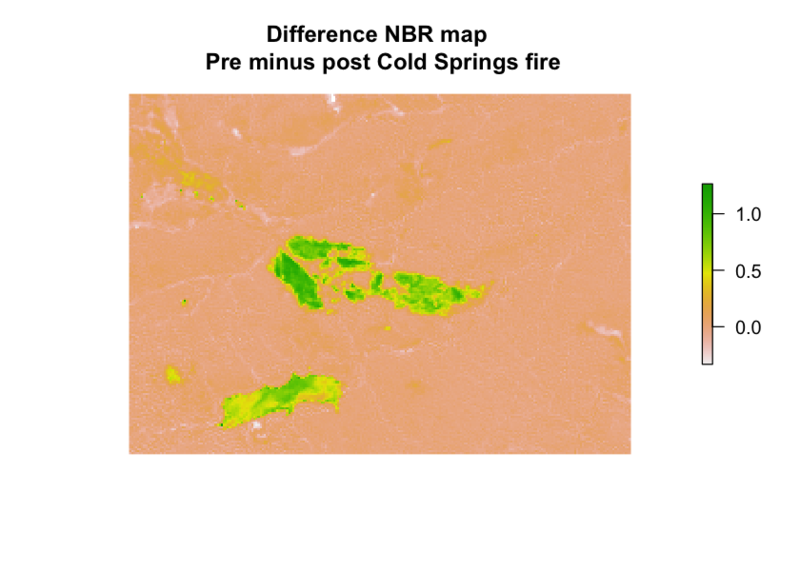 Calculate dNBR (difference NBR) by subtracting post-fire NBR from pre-fire NBR (NBR pre - NBR post fire). 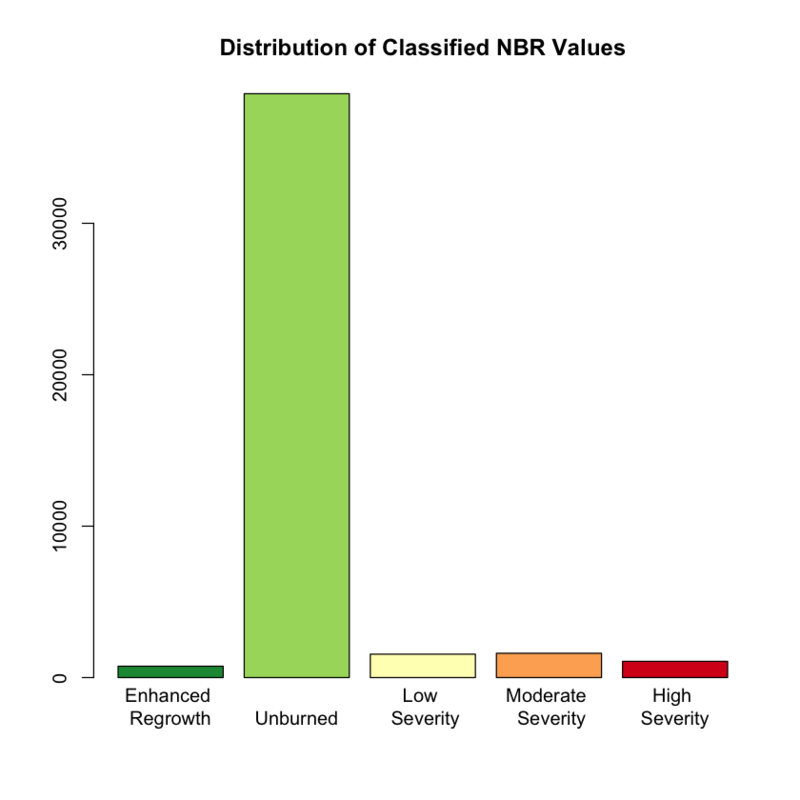 Classify the dNBR raster using the classification table provided below and isn the previous lesson. Note the code to do this is hidden. 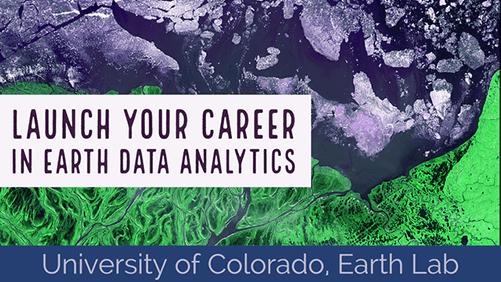 You will need to figure out what bands are required to calculate NBR using Landsat. First, let’s setup your spatial packages. 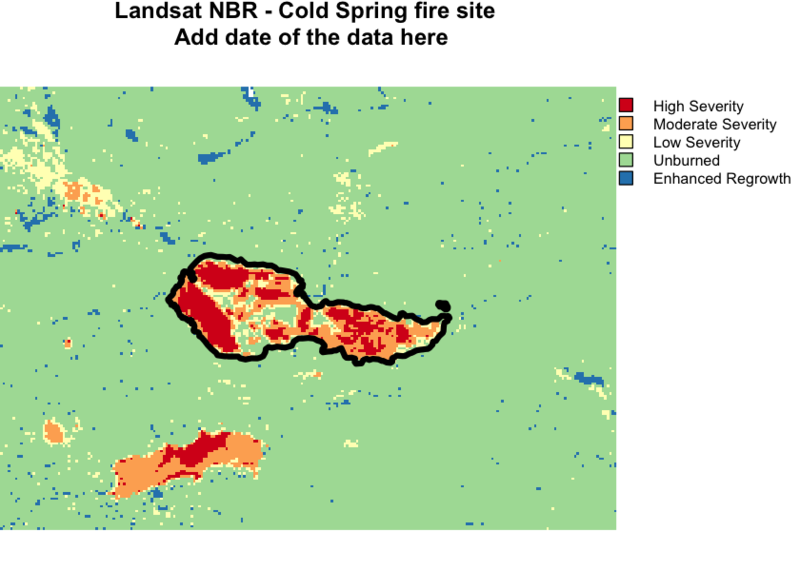 Next, open up the pre- Cold Springs fire Landsat data. Create a rasterbrick from the bands. Then calculate NBR. A plot of NBR is below. # this code shows you how to create a normalized Z value for your raster plots! You can export the NBR raster if you want using writeRaster(). 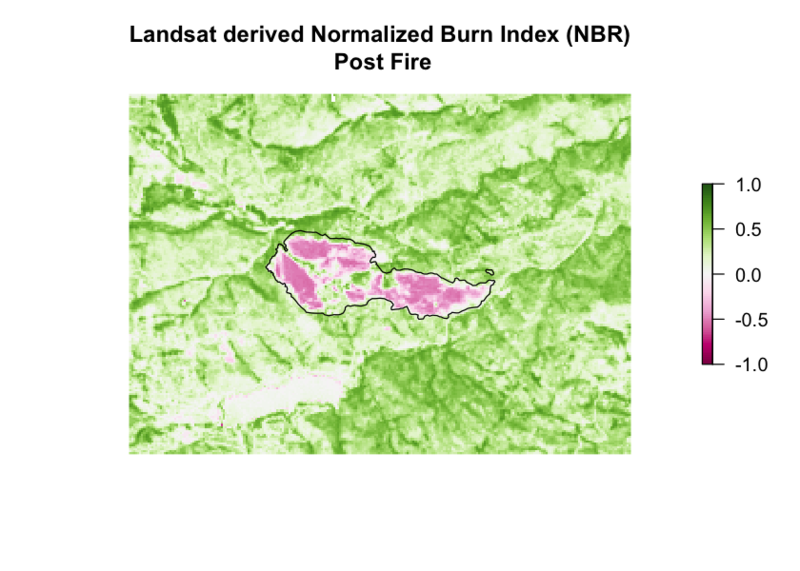 Next, open the post-fire landsat data to calculate post-fire NBR. If you want to use the post-fire data to CROP the pre fire data you may do this in a different order. Then you calculate NBR on the post data - note the code here is purposefully hidden. You need to figure out what bands to use to perform the math! Finally, calculate the DIFFERENCE between the pre and post NBR. NOTE: your min an max values for NBR may be slightly different from the table shown above! If you have a smaller min value (< -700) then adjust your first class to that smallest number. If you have a largest max value (>1300) then adjust your last class to that largest value in your data. Alternatively, you can use the Inf to specify the smallest -Inf and largest Inf values. Add fire boundary to map. Note the “Spectral” colorbrewer ramp is used in the map below. Note that you will have to figure out what date these data are for! I purposefully didn’t include it in the title of this map. Add labels to your barplot! Once you have classified your data, you can calculate the total burn area. crop() the data to the burn area boundary extent. This is an ok option however you have pixels represented that are outside of the burn boundary.